2. 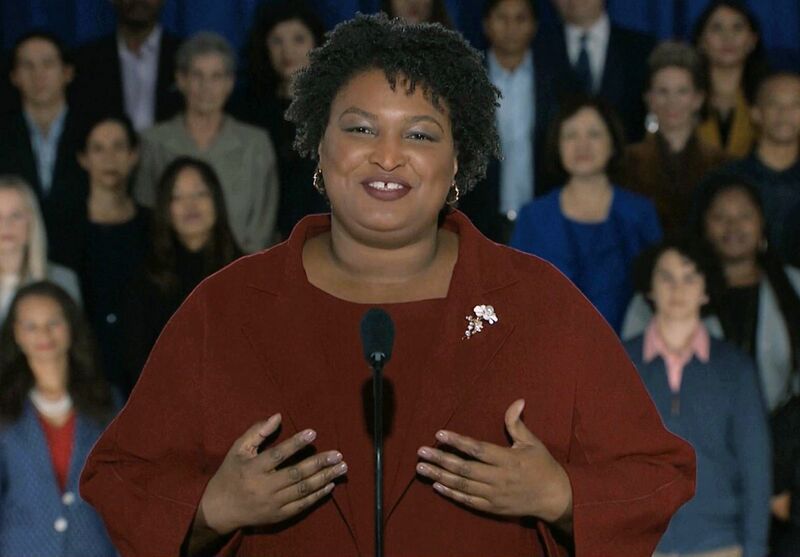 "Together, we are coming for America"
Georgia's Stacey Abrams, who narrowly lost the race to become the state's governor last November, emphasized voting access as a key issue in the official Democratic response to Trump's address: "This is the next battle for our democracy." Why it matters, via the New York Times: Her loss "dashed hopes that she would become the first African-American female governor, and the way she lost rankled her and her supporters, amid charges of voter suppression and ballot rigging." But her rhetoric "dovetailed with the goals of the new House Democratic majority, whose leaders have included language intended to expand voter registration in the first bill they introduced when they took control of the chamber last month." President Trump never mentioned Robert Mueller, but at one point threw his arms wide as he rhymed: "If there is going to be peace and legislation, there cannot be war and investigation." NBC's Andrea Mitchell called it "a false choice." 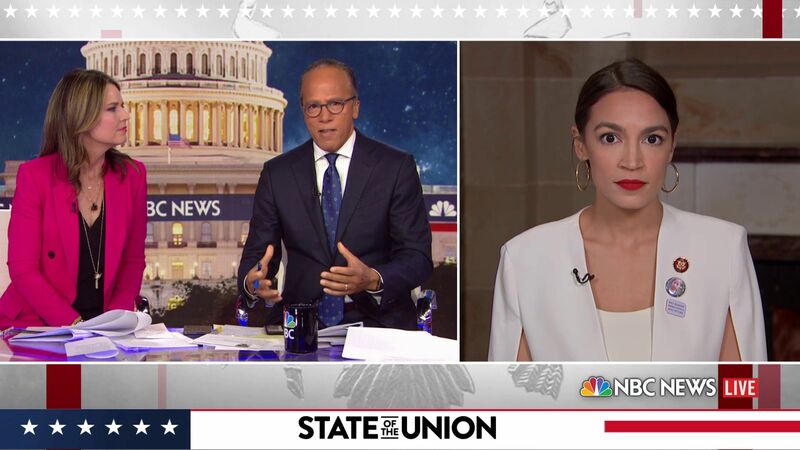 Rep. Alexandria Ocasio-Cortez (D-N.Y.) said on NBC: "I thought it was, frankly, kind of bizarre. I don't think that investigations into federal misconduct have anything to do with our economy." P.S. 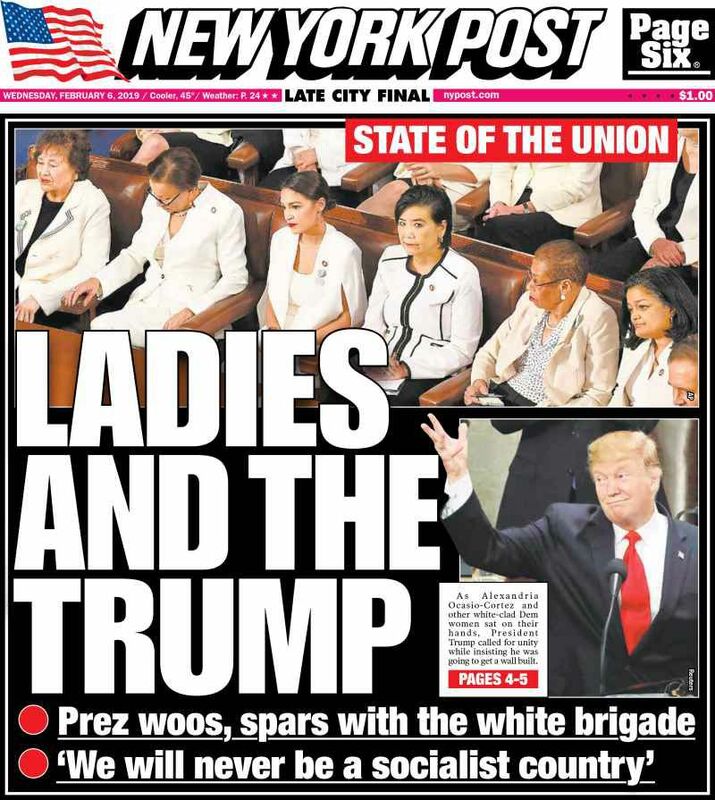 ... CNN's instant reaction poll found that 59% of viewers had a "very positive reaction" to Trump's speech — and CBS News found a 76% approval rating against just 24% disapproval. 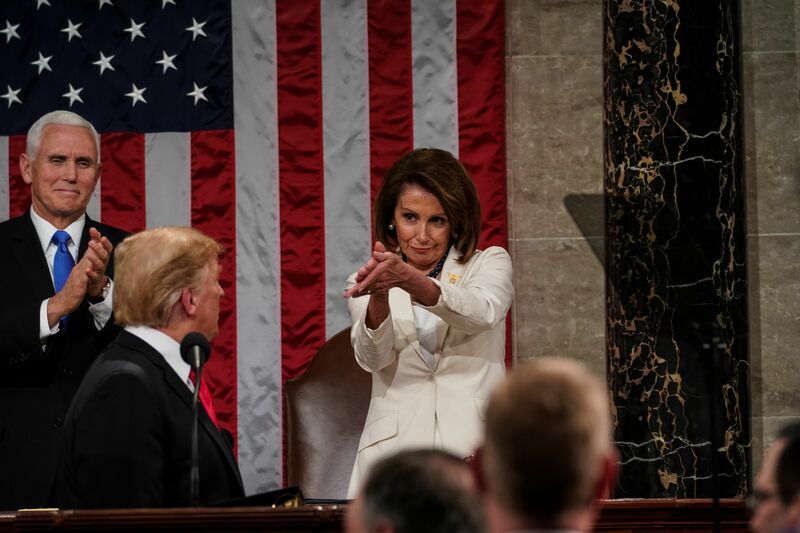 But CNN notes "the audience had the largest partisan tilt measured in any CNN instant poll following a presidential address to Congress dating back to 2001." "Viewers were roughly 17 points more likely than the general public to identify as Republicans." Our review: The AI is better at guessing than drawing. If a player asks for a new drawing when he or she can't immediately guess the phrase, the AI can get stuck. 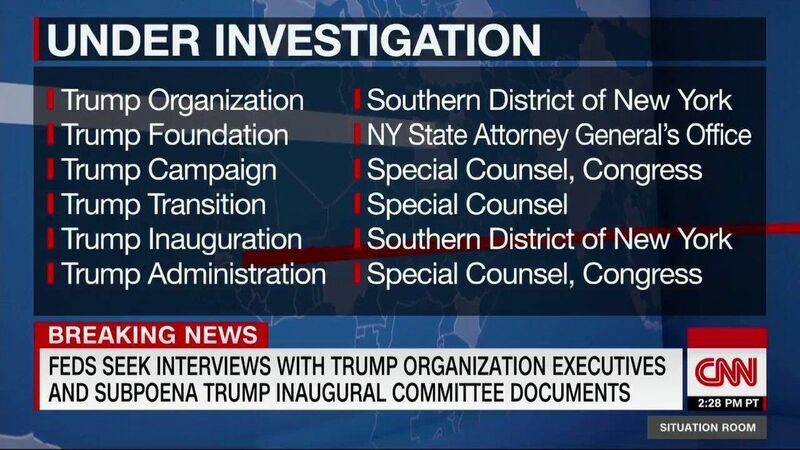 "Federal prosecutors in New York have requested interviews in recent weeks with executives at the Trump Organization," CNN's Erica Orden and Cristina Alesci report. Why it matters: That signals a growing potential threat to Trump and his orbit from criminal investigations by the Manhattan U.S. Attorney's office. Be smart: "Trump and his legal team have long harbored concerns that investigations by New York federal prosecutors ... may ultimately pose more danger to him, his family and his allies than the inquiry by ... Mueller." Happening today ... The House Intelligence Committee, meeting for the first time with Rep. Adam Schiff as chairman, is expected to vote to send Mueller 50+ interview transcripts from the panel's now-closed Russia investigation, per AP. "Two associates of ... Trump have already been charged with lying to the committee, and Schiff has said Mueller should consider whether additional perjury charges are warranted." 6. Warren listed race as "American Indian"
"Sen. Elizabeth Warren said ... she was sorry that she identified herself as a Native American for almost two decades, reflecting her ongoing struggle to quiet a controversy that continues to haunt her as she prepares to formally announce a presidential bid," the WashPost's Annie Linskey and Amy Gardner report. "Using an open records request, ... 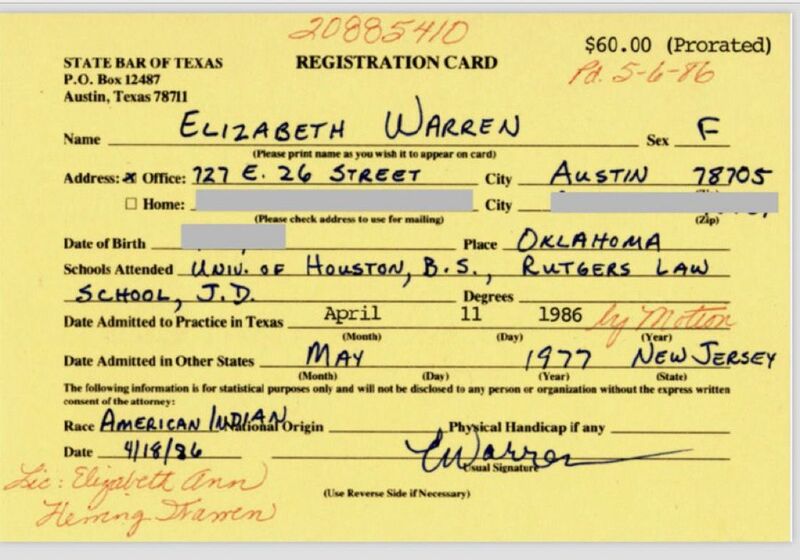 The Post obtained Warren’s  registration card for the State Bar of Texas, providing a previously undisclosed example of Warren identifying as an 'American Indian.'" Why it matters: "[I]t is the first document to surface showing Warren making the claim in her own handwriting. Her office didn’t dispute its authenticity." 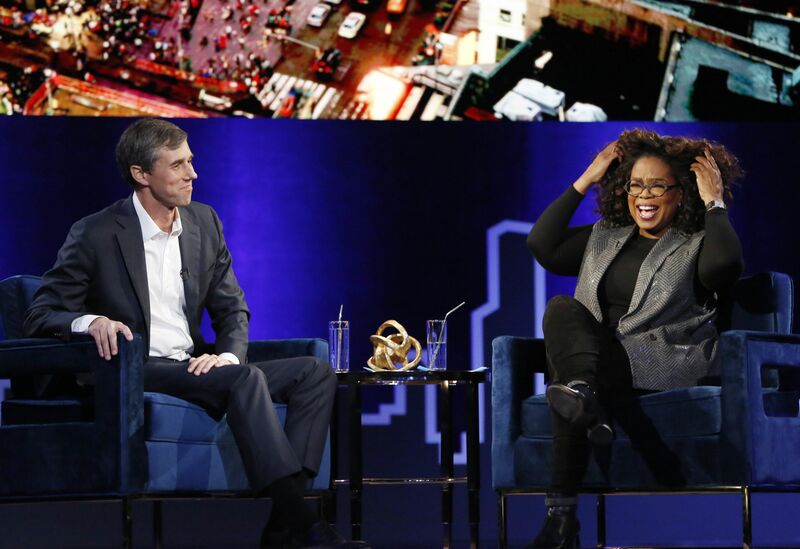 "I have been thinking about running for president," O'Rourke told Winfrey as the packed audience cheered. "I'm so excited at the prospect of being able to play that role." Winfrey, who has flirted with a potential run of her own, appeared to encourage O'Rourke to run: "What's it going to take for you to say, 'Yes, I'm doing it?'" President Trump called it "the Eighth Wonder of the World" when Foxconn, the Taiwan-based tech supplier for Apple, announced it would create as many as 13,000 good-paying jobs for "amazing Wisconsin workers" by 2022. "[I]nsiders describe a chaotic environment with ever-changing goals far different from what Trump and others promised." 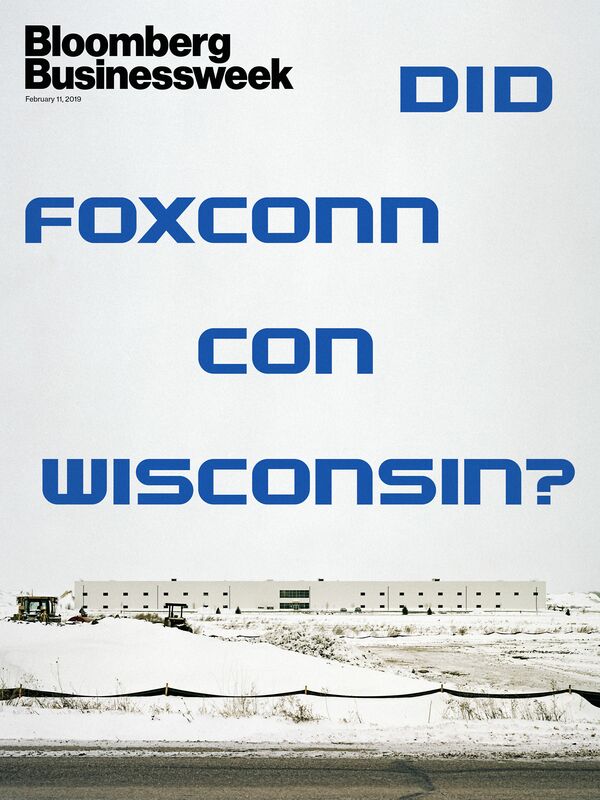 "The only consistency ... lay in how obvious it was that Wisconsin [including then-Gov. Scott Walker] struck a weak deal." 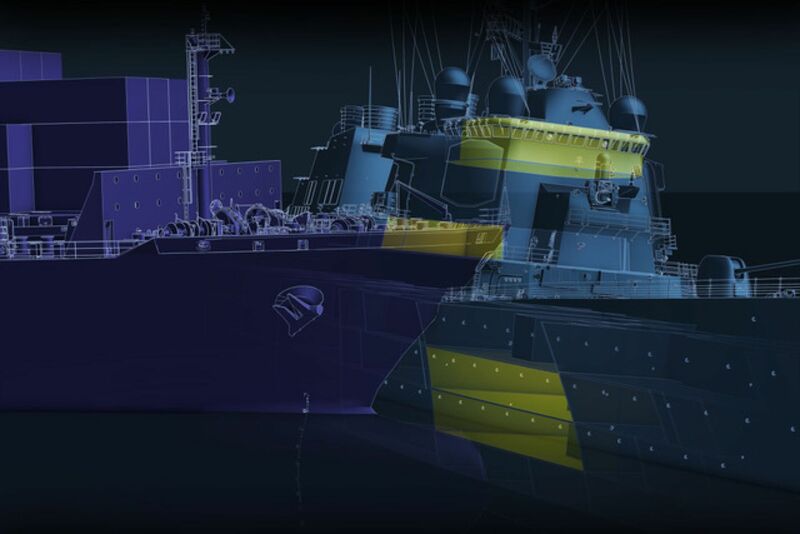 The 2017 collision of the Navy destroyer USS Fitzgerald and the cargo ship MV ACX Crystal "was the Navy’s worst accident at sea in four decades. Seven sailors drowned. ... Two months later, a second destroyer, the USS John S. McCain, broke that grim mark when it collided with another cargo vessel, leaving 10 more sailors dead," write ProPublica's T. Christian Miller, Megan Rose and Robert Faturechi in a feature that's worthy of your time. Why it matters: "The successive incidents raised an unavoidable question: How could two $1.8 billion Navy destroyers, protected by one of the most advanced defense systems on the planet, fail to detect oncoming cargo ships broadcasting their locations to a worldwide navigational network?" "Tired of winning, New England? Not by a long shot. 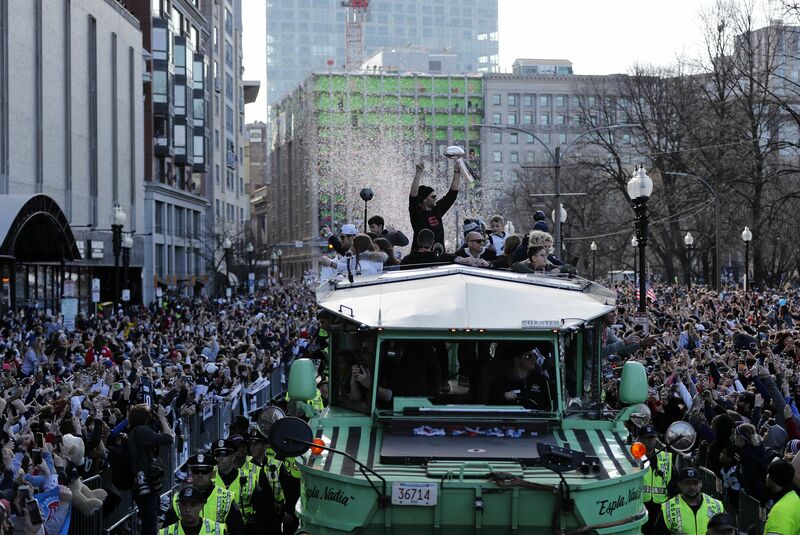 Fans clad in treasured Patriots garb poured into downtown in jubilation, riding a wave of adrenaline from the team’s incredible sixth title on Sunday."